10 Tips on why you should consider a first look on your Wedding Day. This is the ultimate question! 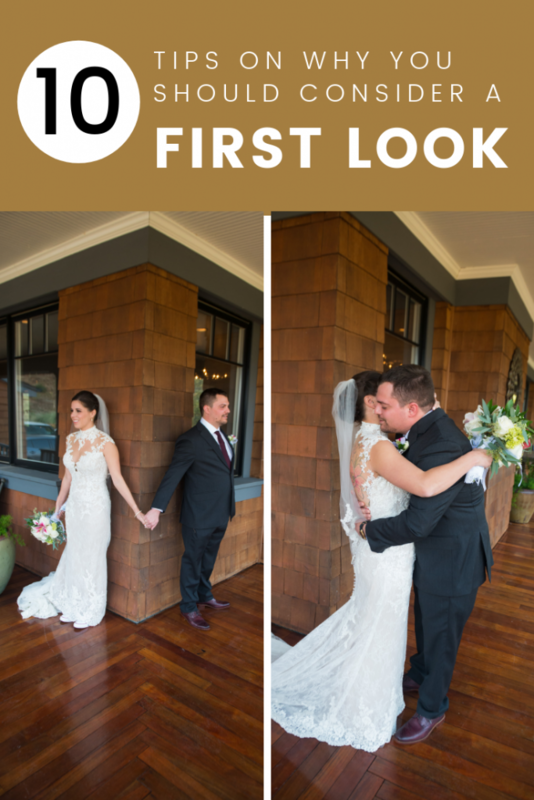 Should you do a first look or not? Everyone has very specific opinions n the subject. My experience tells me that it’s usually a big benefit. For those of you who don’t know, a First Look, let me explain. Before the ceremony (usually 2-3 hours), the bride and groom get an opportunity to spend a private moment together. I’ve seen brides and grooms use this time to calm the nerves by spending time together praying, laughing, and cuddling. My own daughter found a first look helpful because her (now) husband didn’t want to cry in front of people and she wanted to see his emotion. They got time to laugh over the funny events of the morning, hug and kiss, and generally calm each other’s nerves. What are the real benefits of a First Look? You have plenty of time to take the bridal party, family and most importantly, the bride and groom photos prior to the ceremony. It allows you to truly enjoy your reception. Since you most likely spent a fortune on this day, you should enjoy it and your guests. You won’t be rushed to take pictures. Or worse, take forever taking all the images the family wants and make your guests wait. The light is almost ALWAYS better before the ceremony. You spent time, energy, and effort to plan your big day. Picking your dress and all the primping of hair and makeup, you’ll want your images taken as soon as possible. There is nothing like photographs with fresh hair and makeup. I can’t state it enough, the opportunity to have that one on one time with your best friend and husband to be. Once the ceremony happens, you will have a ton of well-wishers and you’ll spend time thanking guests. There won’t be any alone time once that ceremony happens. It’s especially thoughtful for those that are older or not able to stand for long periods. You can get the photographs done prior to the ceremony then they can sit for the ceremony, then go into the reception to sit. You won’t have to spend a lot of time wrangling people. The biggest problem I have on a wedding day is waiting for someone that needs to be in family photos to come back from the bathroom or getting a glass of champagne. He’ll still get that amazing love face when you walk down the aisle with your daddy or select person. And my experience tells me that he’ll still get choked up, even though it’s not the first time he sees you. 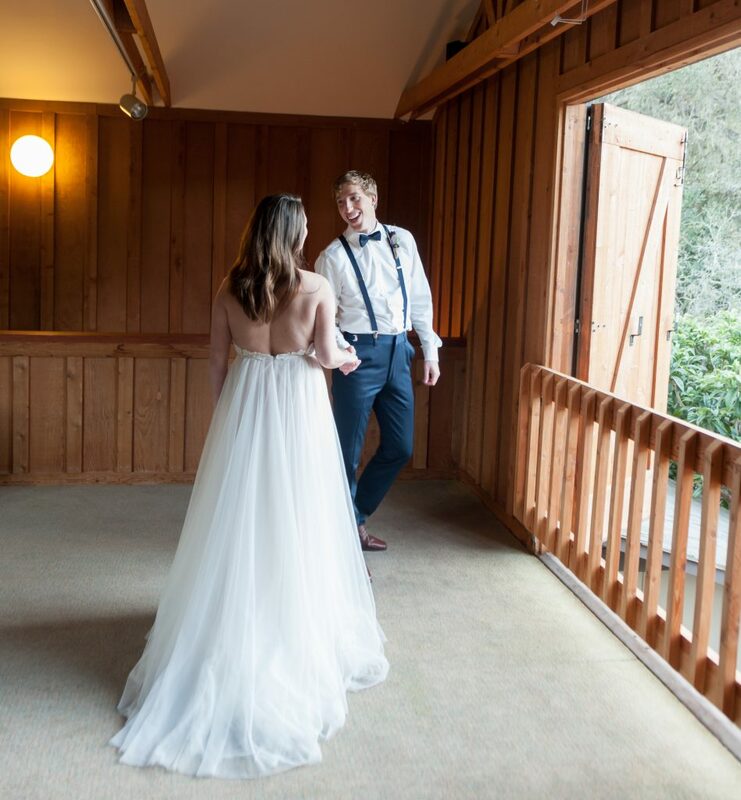 Even if you are adamant that you don’t want a first look, I encourage you to have a discussion with your significant other and see what they think. I’m often asked what my preference is and when I see all the benefits, there really is no question that this would be mine. Even if you decide not to have a first look, we’ll make it work and you’ll know that you made an informed decision.